Does the number you want blocked appear in the Blocked portion of the app? If it does not you will have to go to the Block list portion of the app and select the number from the list or manually enter it in. In some cases, it is necessary to tap the 'Check for Updates' button from the in app Help page to ensure that you have the latest version and all app settings are correct.  Please make sure that any security apps you may have installed are set to exclude CallWatch. Examples of those types of apps are firewalls, task killer, anti-virus apps, and any app that is attempting to perform an action when calls come in.